Description: Part one of a two part series on direct painting (Alla Prima) in which colors and values are applied as they are observed without underpainting. Suggested Materials: Stretched canvas, acrylic paints (Indian Yellow Hue, Titanium White, Burnt Umber, Payne's Gray, Cadmium Red Light, Cadmium Yellow Light), nylon brushes (flat and round), "4B" graphite pencil, "2H" graphite pencil. Thank you. Never knew about making your own canvas. There is so much to learn. So happy to be a member. Hi, I lost the audio at 8:24 min into the video? I am really enjoying the lessons and would love to hear the rest of the lesson…I was left with a clicking noise? Has anyone else has this issue? Hi Kathy, The audio appears to be working normally throughout the video. You may try refreshing the screen and check the audio settings on the player. You should be seeing white bars on the player – this is the volume control. I think for a beginners course the videos are too fast and skip over many important steps that are assumed. Choosing colors and why you are mixing specific ones etc and how to use the brush etc are very critical. Also you should explain how you are going to approach the painting instead of just doing the steps. Why did you choose to trace the picture in this case? How did you choose which lines to draw and those not to draw? Why didnt you outline the shadow –it seems you just painted it in freehand. Thanks for your comments. I’ll be glad to answer your questions, but please be reminded that the lesson discussion section is not reserved for critiques of the video but for answering questions. This module is on direct painting, meaning that the colors chosen and applied are direct matches (or close) to what is observed. The colors used in this painting are very simple. Basically, only slight alterations of the colors are created, mostly adjusting the values (covered in Module 2). The approach taken is direct observation. I would suggest not over-thinking your approach. Transferring the image to the surface simply saves time. Lines that are transferred are completely up to the artist. In this case, I only wanted the contour lines where high contrast exists. I didn’t feel that adding a line for the shadow (or shadows) was necessary, so I simply left them out. If it helps you to include it, then feel free to do so. The entire painting took nearly 8 hours to complete, some parts have to be edited out. I am very careful to edit the videos so that the important processes are included so that you can apply them to your own paintings. Very instructive. I have a question please. 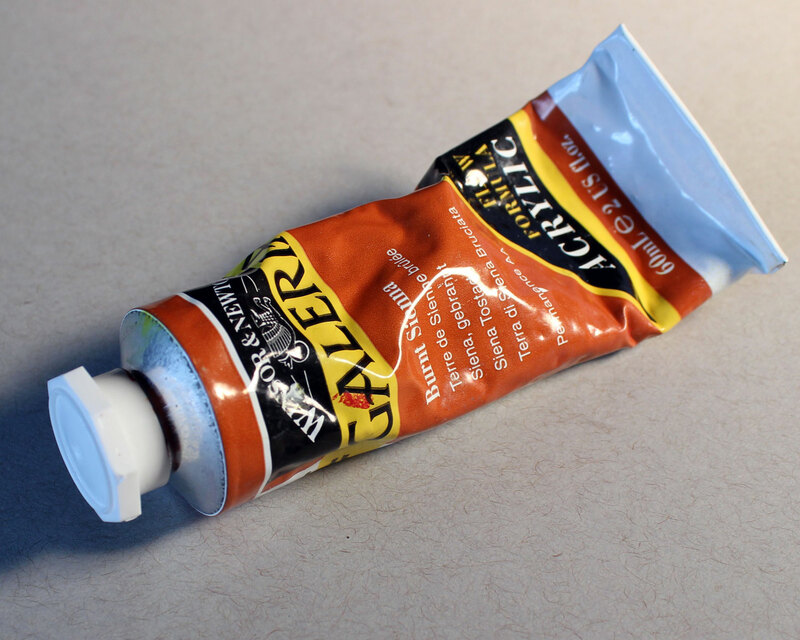 I have a set of liquitex basics colors and they don’t work as your paints seem to work on the canevas. So please could you please tell me the difference between heavy body and soft body paint? Are heavy body paints better than the soft ones? Should I invest in a set of heavy body so I would get better results? Hi, Matt. It might be me but I think that you jumped into something that is a tad too complicated from the canvas to direct painting. I sort of need something that is more gradual than this; sort of like drawing shapes, trees, things like that before going into something like this. Hi Mark, Did you paint the basic cube in the second module? Yes, but I still think things jumped into painting subjects that are just a bit too complicated from the cube into direct painting. I feel like the lessons in the oil painting videos (different instructor) is what I am looking for; essentially modules 4-7. I have the same difficulty in the watercolor course as well. Thanks for the constructive feedback. We all learn differently. I’m glad the modules from Oil Painting Mastery were helpful. How is this direct painting? This is just normal painting. Direct painting or alla prima is applying paint in no more than 2 or 3 strokes so that that the brushwork is thick and very visible. Here you’re placeing many strokes and blending just like normal painting. There are no rules to painting. It’s best not to get caught up in technical definitions. The end result is what is most important. While some people will argue that direct painting must conform to stringent boundaries, others will argue that direct painting simply refers to applying the paint without glazing – as we see with indirect painting. “Normal” painting is always either direct or indirect. I think this is a great example of direct panting. The subject matter not too difficult, and the focus is on building values with tones of color. Thanks for showing! It would be nice that as you do the demo in the video, somewhere on the same screen you would have a photography of the subject you are painting. Then as you are painting and laying the highlights, tones, values, shadows, etc., we can see what you are doing in the video and at the same time be able to see a fixed photography of the subject that you are painting, so it give a better visual of comparing both as you go along, and see why you are doing what you are doing because we now see it in the photography as a reference next to your demonstration. All good, thank you for the video. Perhaps you missed it. There is a link to the photo reference in the info box under the video. Just click on the link and open the photo in its own window and you can have it up for the entire video. Hey! Where can I get the picture you used so that I can transfer it onto my canvas and follow along with the module? Hi Kasey, Look in the gray information box under the video. You’ll see a link that says “Photo Reference”. Clicking on this link will take you to the photo reference. I live in the desert and paint dries VERY quickly – making it hard to work with some times. What can I do to keep it from drying so fast? For example, if I put my paint on the palette and mix it – it dries before I can use it all to paint – I’m slow ;-). Whoa – that’s REALLY fast. You could try spritzing your palette with a spray bottle to keep it wet. Hi Matt, this is great and all your comments are so encouraging for a beginner. It’s acrylic I’m really interested in and these lessons are so informative. Thank you! So glad I found your site and have become a member. I’m going to be patient and believe I will get better and better.